Yes, you read that title correctly. 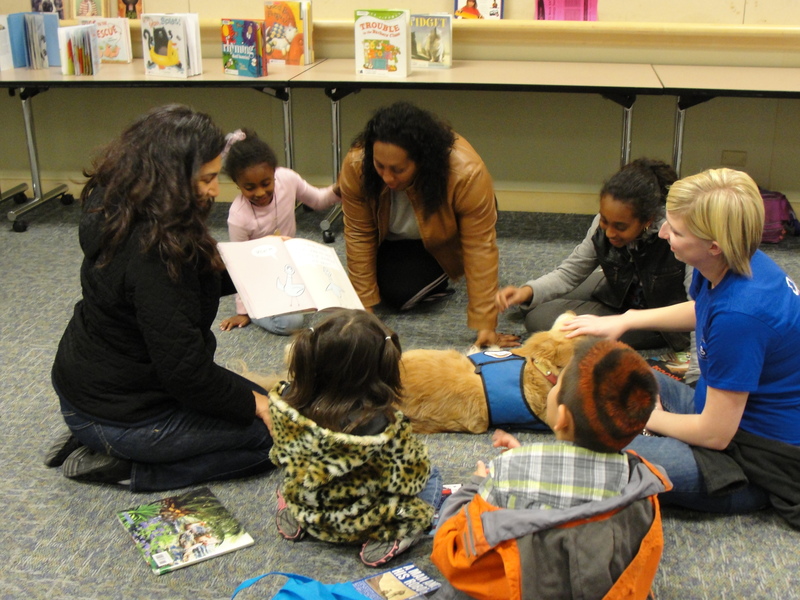 Come join us once a month and let your child(ren) read to a real live dog! 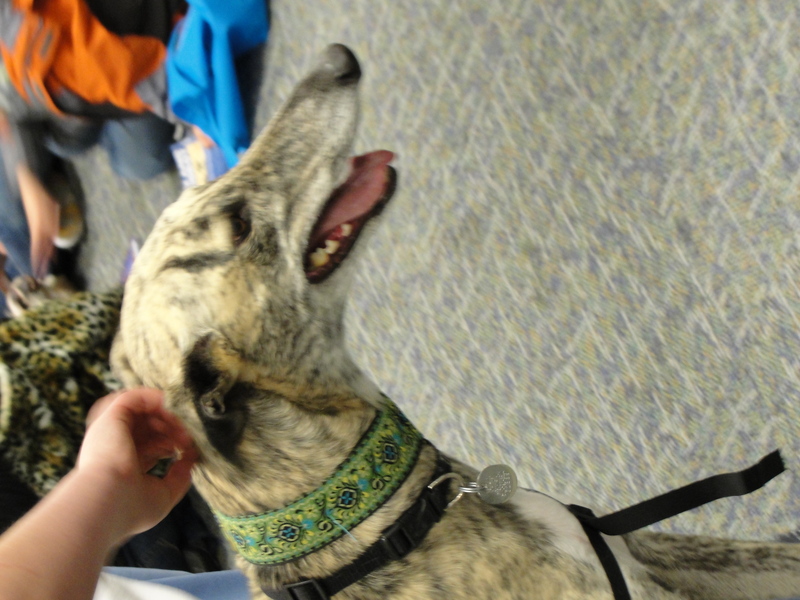 We have between 3-7 dogs each month, eager to listen to a story (and receive lots of love and attention!) Each session lasts 15 minutes, beginning at 6:30 and ending at 7:30. Pick up your free tickets at the Children’s Desk beginning right at 6:30 pm the day of the program. Our next session will be held on Tuesday, March 27th. Join us for a book party! Each month we will have a book party right here at the Fremont Library! We will read a story or two, and then do a craft or have a snack related to our books/theme for the day. We want to show you how much fun you can have with books and stories. 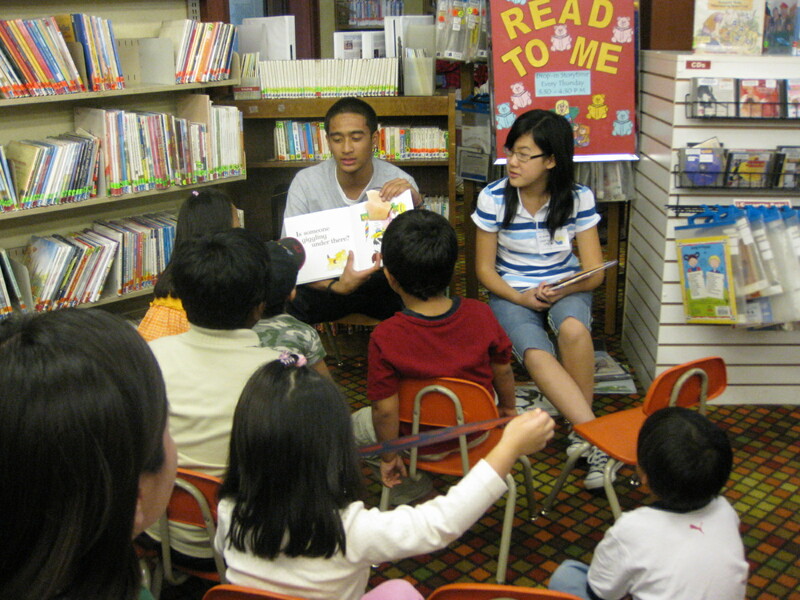 Crafts and related snacks help children remember the story and remember it fondly. 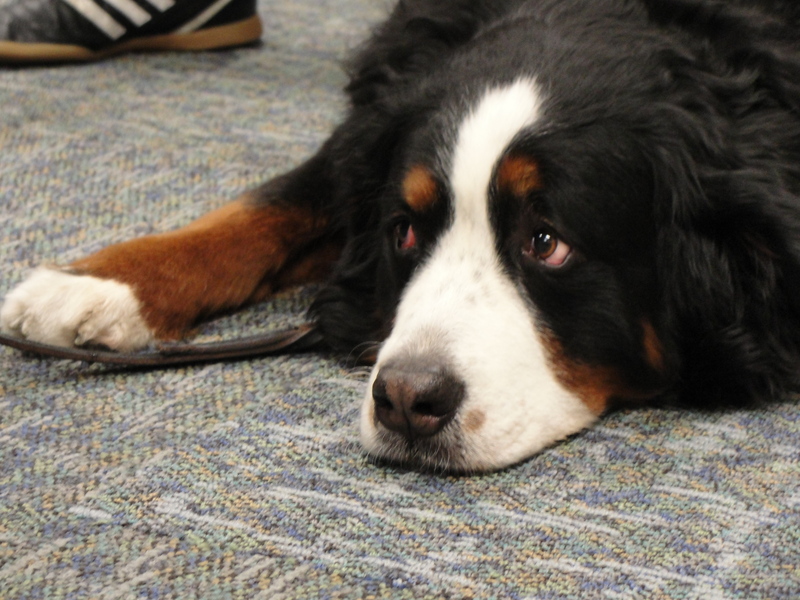 Our book party will meet in the Storytime Theater in the children’s area of the library. We are meeting on Tuesday, October 11th at 5:30 pm. Please be right on time if you are attending, as we have another group in the room right at 6 pm. 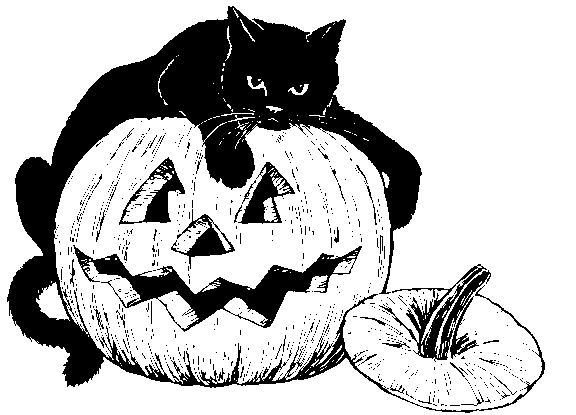 We hope to see you there as we share a Halloween story and craft! For more information, contact Mary Ayers at (510) 745-1408 or email at mcayers@aclibrary.org. Thanks to Joanne’s mom for recording this! Find out if there is a copy available at the library near you by clicking HERE. 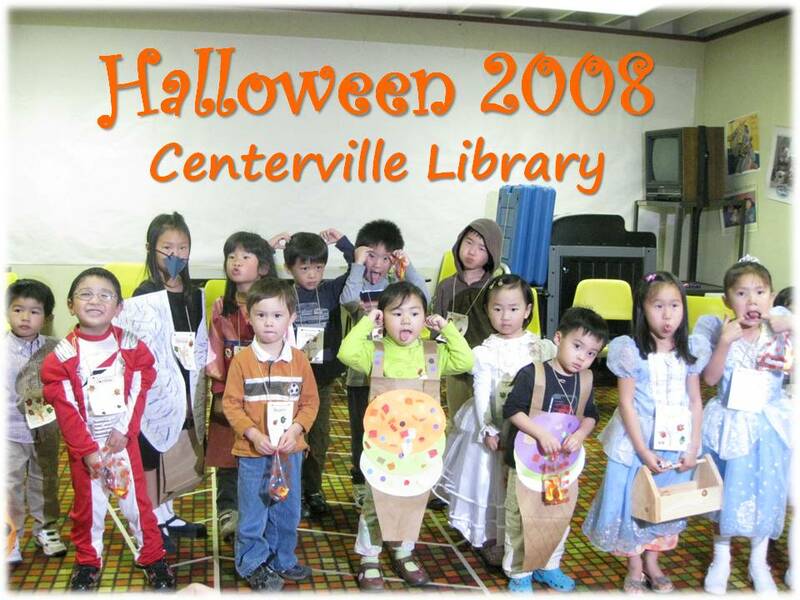 On Tuesday, October 28th, 2008, the Bilingual storytime children at Centerville Library had a great time parading and trick-or-treating in the library. Look for the state bird–California valley quail if you can. It was all little Felicia’s own idea. She had planned for it for a long time, and made the costume mostly by herself! On Thursday, October 30th, 2008, many fun and spooky Halloween stories were read to children during Read-To-Me while maintenance people were working on our roof making the loud “thump thump” sound and the heavy rain outside added even more effects. The children didn’t mind but I was only able to record these stories after the roof repair was done.